Download here Save Games to the Hack'n Slay Game Silverfall. 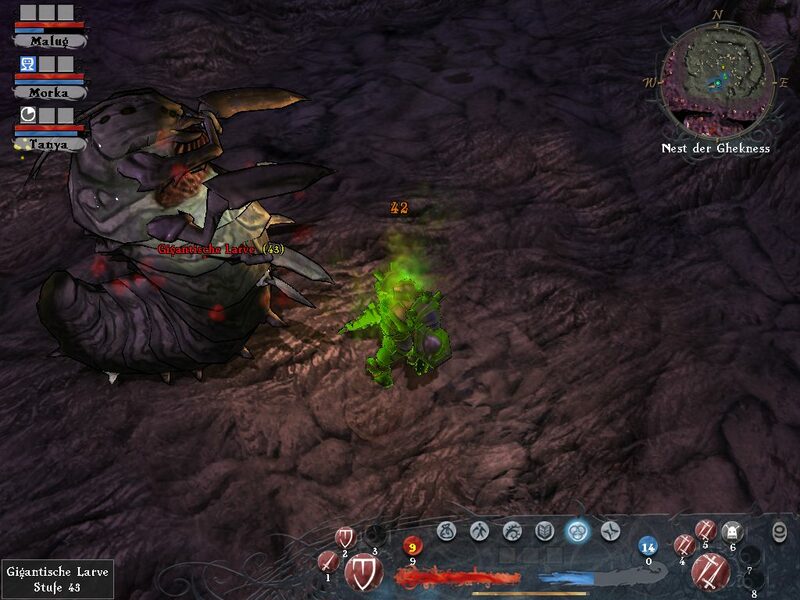 Silverfall takes the Diablo approach of role playing games, a good old hack and slash element to level up and beat bigger and better monsters to get items and weapons. You start of by making your character choosing a base race then choosing an appearance. This game really reminded me of the classic Dungeon Siege which was a brilliant game in my opinion, what I mean is that when you die you leave a tombstone in the place you died so you need to get back their to pick up your beloved items. Like Diablo where you could have a mercenary to follow your move giving back up in defeating the mass of monsters Silverfall allows you to have up to two as you get further into the story. You have limited control over these people, for example you can set their behaviour to make them react in certain ways but you never have direct control over them. One specific attribute which makes this game stand out is the lighting effects and the animations of some of the spells – these are truly some of the best effects I’ve seen on a game. When you begin the game you get a choice of which class to go with, combat, magic and other (various skills along with unique skills depending on the race you chose at the start). Once you have chosen your path your set and ready to go in perfecting the skills and becoming a true warrior. There is roughly around 25 hours of game play to complete the main quest of rebuilding the city, there are loads of side quests which you can take part in to gain additional experience and get your character stronger and get better items which you can use yourself, give a mercenary to get them stronger, sell or if you playing online you can maybe trade the items with other players to get what you wanted so be sure to know its true value before you let it go. The actual playing of the game is really simple and easy to use which makes it a lot better and easier to get to grips with, you can assign hotkeys and quick buttons (left and right mouse button) to make the process simple if you wanting to cast spells or special attributes to make life easier. 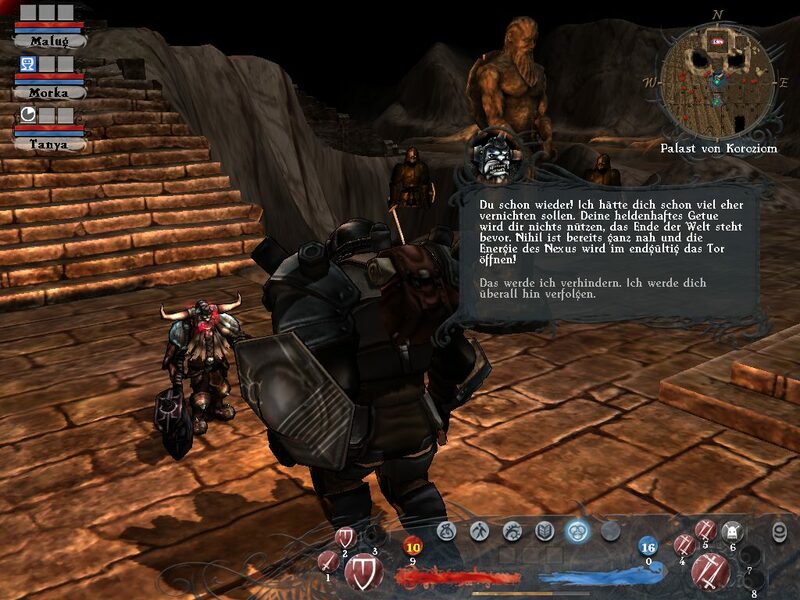 The artificial intelligence behind the game is similar to those other role playing games which is satisfactory, for example they stick together in mobs and if they get attacked by a spell or powerful attack they will retreat or at least try to. The thing that makes all role playing games popular is the online multiplayer edition which is available so you can battle with your friends and play alongside other human players in the attempt to find the end boss and slay it! Overall I think Silverfall is a great role playing game and you won’t be disappointed and the learning curve it very slim so you can pick it up quickly as the user interface is simple to use so thumbs up KOCH media for developing this game.